From left: Irwin Goldberg, Ph.D.; Eva Bueno, Ph.D.; Denise Delgado; Ana Mahomar; Stephanie Harlien; and the Rev. Tim Eden, S.M., Ed.D. 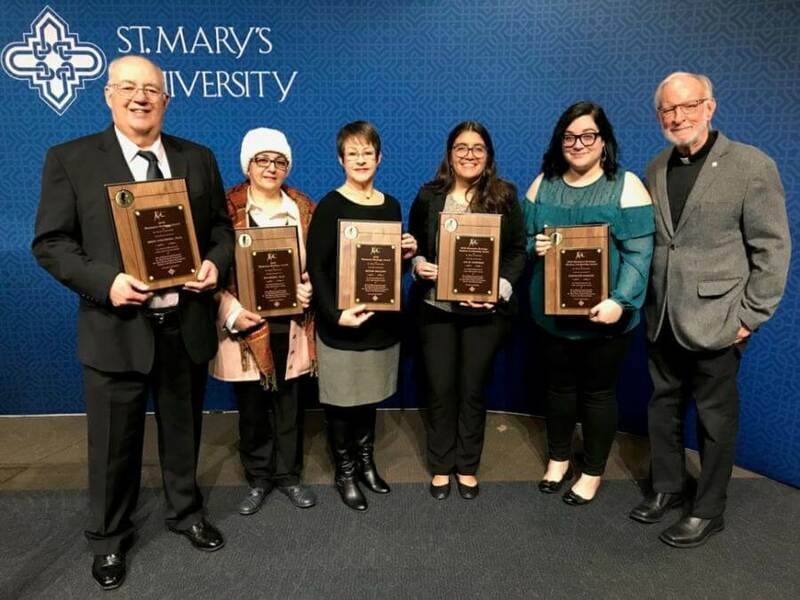 Several members of the St. Mary’s University community will be honored Thursday, Jan. 18, with the 2018 Marianist Heritage Award. This year’s recipients are Eva Bueno, Ph.D., Professor of Languages; Irwin Goldberg, Ph.D., Professor of Engineering; Denise Delgado, Senior Administrative Assistant for the School of Science, Engineering and Technology. Ana M. Mahomar, senior Psychology student, and Stephanie Harlien, third-year law student, also will be honored as Marianist Heritage Student Leadership recipients. The honorees will be recognized during the Marianist Heritage Mass at 11:10 a.m. at Holy Rosary Parish. To allow the University community to attend the Mass, 11:10 a.m. and 12:35 p.m. classes will be canceled. The award is also for faithfulness to our Catholic heritage, shown by an active participation in liturgical celebrations, in the development of the local Christian community, and in service to the broader Christian community. 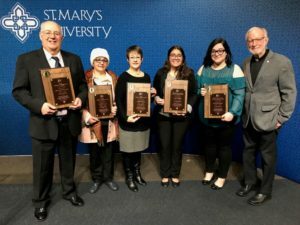 It is an award for faithfulness in supporting and promoting the Catholic and Marianist educational mission and tradition at St. Mary’s University.